Last week on Twitter, one of my favourite tweets was by sportswriter Dave Hogg. He tweeted, “Two thirds of Canada is covered by the Liberal Party. The other third is covered by Kevin Pillar" (the Toronto Blue Jays center fielder). Unfortunately, since the Blue Jays are toast (how could they not score that man from third? ), I will talk about the Liberal victory and what it may mean to income taxes. I say “may mean” because, until we see legislation, we are never sure as to what proposals or promises will be implemented and the exact wording of the actual legislation. Liberal leader Justin Trudeau (as I understand it, Mr. Trudeau is a prime minister-designate, thus I will not call him Prime Minister in this article to be technically correct, and just stick with Mr. Trudeau for now) emphatically stated several times he would cancel the tax-free savings account (" TFSA") limit increase from $5,500 to $10,000. There is much hand-wringing and concern over what will happen to the extra $4,500 many people contributed this year. Send out a press release prior to December 31, 2015 (assuming they cannot pass legislation on time) saying that as of January 1, 2016, the maximum cumulative TFSA limit will be re-set to $42,000 ($36,500 old limit [before the 2015 increase to $41,000] plus $5,500). State that when the legislation is passed, it will be retroactive to January 1, 2016, so if anyone contributes in excess of $42,000, they will be subject to over-contribution penalties. Assuming I guess correctly, this would clean-up the TFSA issue. Those who contributed the extra $4,500 in 2015 will only have another $1,000 to contribute in 2016 and they will be warned in advance that if they over-contribute they will be subject to a penalty. Easy peasy IMHO. Reduce the middle income tax bracket ($44,700 - $89,401) from 22% to 20.5%, resulting in a potential tax savings of up to $670 for those earning between $44,700 and $89,401. Cancel the Family Tax Cut which provides for up to $2,000 in family income tax savings. This seems counter-intuitive based on the middle income tax cut, so there may be more to this proposal. Increase taxes on people making more than $200,000 by creating a new tax bracket of 33%. My comments on this proposal were provided to Rob Carrick of The Globe and Mail in this article. As noted in Rob’s article, my concern is once you increase the highest marginal rate past 50%, you break a significant psychological barrier. I know this is a bit of an airy-fairy comment, but you would be surprised at how many people were already upset last year by their increase in personal taxes when Ontario changed the tax rates, and high-wage earners were paying 49.53% tax on income over $220k. Wait till this year when they will be paying 53.53% at the highest marginal rate. Remove the Conservative plans to gradually raise the age of Old Age Security to 69. The Liberals stated they plan to follow through with a proposed small business corporate tax rate decrease from 11% to 9%. However, they want to ensure that private corporations, known as Canadian Controlled Private Corporations ("CCPCs") are not used to reduce personal income tax obligations for high-income earners. In a follow up article Mr. Trudeau said “that several studies have shown that more than half of small business owners are high-net-worth individuals who incorporate…to avoid paying as high taxes as they otherwise would”. The Post noted that “in that group are doctors and lawyers, groups that may find themselves squeezed by the policy Trudeau loosely outlined this week”. To the best of my knowledge, there has been no discussion on how the Liberals would carve out part of the small business population from using the small business deduction. This would be an extremely complex piece of legislation. In the Rob Carrick article, I noted that I would expect some people may start considering leaving Canada to move to a lower tax jurisdiction or consider moving their funds offshore. As discussed in one of my earlier blogs, in my personal experience, this is typically something only the ultra-rich undertake. 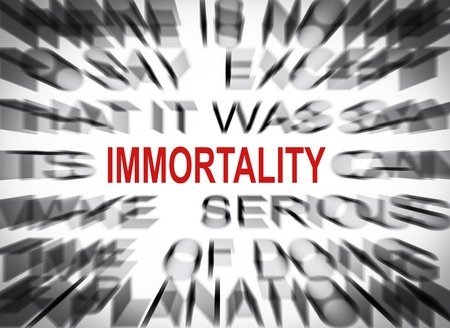 What I have found is that once people understand the income tax consequences (deemed disposition of certain assets) that results upon emigration and when they account for family and healthcare, they typically grin and bear income tax increases. I do have some concern that higher tax rates may impact the amount higher income earners invest in their current or new businesses. Last week a doctor told me he was starting to see other medical professionals consider leaving Canada for the United States. I told him I was surprised as I thought that exodus had been stemmed by better pay policies implemented over the last ten years or so. If that doctor is correct, it will be interesting to see if higher personal and corporate tax rates are implemented, whether mobile professionals and small business owners will in fact consider leaving Canada for lower taxing jurisdictions. in relation to the sale of a U.S. property. Let’s assume you purchased your U.S. vacation property for $200,000 USD several years ago when the exchange rate was $1.10. Thus ignoring legal and other acquisition costs, your Canadian cost base of the property is $220,000 Cdn. Let’s also assume you have just sold your Miami property for $325,000 USD or approximately $420,000 Cdn. 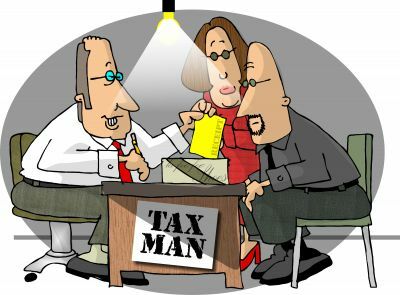 I am not a U.S. income tax specialist, so if you are selling, confirm the following with a U.S. accountant. However, as I understand the process, one of the first things you need to do is obtain a US Individual Taxpayer Identification Number (ITIN), if you don't already have an ITIN or Social Security Number. The ITIN is obtained by filing a Form W-7, and the application is generally filed concurrently with the first U.S. federal tax form you are required to file, which could be either a tax return or a withholding tax form. If you sell your vacation property for less than $300,000 USD and the buyer intends to use the property as a “residence” for more than half of the time it is used in the 2 years after purchase, you should be able to obtain an outright exemption from any tax withholding. The buyer would simply be required to sign an affidavit as to their intended use of the property. If you sell for more than $300,000 USD, you will generally be subject to a 10% FIRPTA withholding tax on the gross proceeds. In this example, the tax would be $32,500 USD. But this is not the final determination of tax. A 1040NR U.S. non-resident tax return should be filed to report the actual gain. You can apply the $32,500 USD withholding tax against any tax owing or if your actual U.S. tax liability is less than the amount withheld, you may be entitled to a refund. However, there is another means to potentially reduce or eliminate the withholding tax. On or before the closing date, one can file an application for a withholding certificate via Form 8288-B. This would reduce the withholding tax from 10% of the gross proceeds to 20% of the actual capital gain (which is the theoretically maximum amount of tax that could be owing). If the certificate is not received by the closing date, the transfer agent or lawyer handling the sale would hold the 10% default tax in escrow until such time that the certificate is received from the IRS, at which point the reduced withholding (if any) would be remitted to the IRS, and the excess funds would be released to the seller. 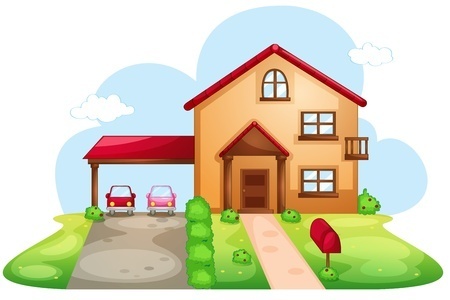 You must file a U.S. 1040NR to report the disposition of your property, regardless of whether or not income tax was withheld, or whether the property was sold at a gain or a loss. Continuing with our example, you would report a capital gain of $125,000 USD ($325,000 USD proceeds less $200,000 USD cost) on the U.S. tax return. If we assume the actual U.S. income tax owing is $15,000 USD (just an assumed tax number for this example), you would receive a refund from the IRS of $17,500 USD ($32,500 USD withholding less $15,000 USD tax owing). As noted above, many Canadian think they are double taxed. That however is not the case. 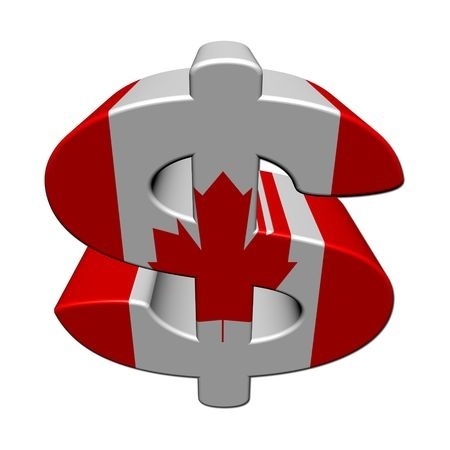 Any U.S. tax paid becomes eligible for what is known as a foreign tax credit (FTC) in Canada. The final result should be you never owe double tax, but that you are taxed only once, albeit at the higher rate of the two countries. As a Canadian resident, you are taxed on your worldwide income. For Canadian tax purposes, you would have a capital gain of $200,000 Cdn ($420,000 Cdn proceeds less $220,000 Cdn cost). Let’s assume the income tax on this capital gain is $50,000 Cdn. On your Canadian return you will claim a FTC of $20,000 Cdn (rounded equivalent of $15,000 USD actual US tax) against the $50,000 Cdn and as consequence, you will owe an additional $30,000 Cdn in Canadian income tax. 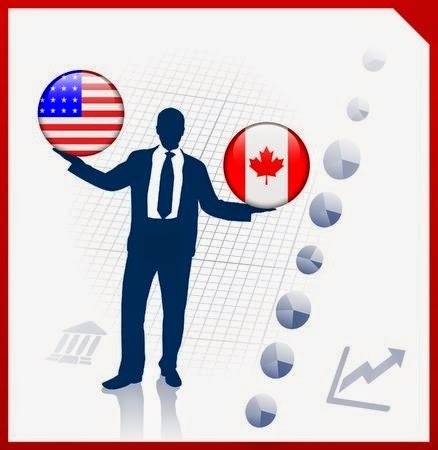 If you add the US tax paid ($20,000 Cdn) to the $30,000 Cdn actual Canadian income tax, you will note that you will have paid $50,000 Cdn in combined tax to the IRS and the CRA. 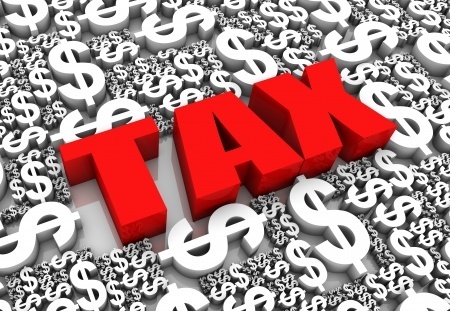 The $50,000 Cdn in total tax is the same amount as the capital gains tax in Canada. So you have not paid tax twice, just once at the higher Canadian tax rate. The sale of a U.S. property is very complex; please consult a US and/or Canadian tax advisor before you sell to understand the compliance procedures and income tax consequences of your property sale. I receive many questions on my blog or to my Blunt Bean Counter Gmail about GST/HST issues. Thus, I thought it was about time to have a specialist address some of the top CRA audit issues in relation to GST/HST. Thus, I asked Brian Morcombe, a Senior Tax Manager with BDO Canada LLP’s national Indirect Tax group if he would provide a guest blog post on these issues and he, to my delight obliged. Below Brian highlights some of the top audit issues that apply to corporations, individuals, and to both individuals and corporations. It appears that CRA has a new mantra when it comes to GST/HST audits; do more with what you have. Given that CRA has not had the luxury of earning more revenue through increased rates, it has hired more auditors and is auditing the low hanging fruit. Desk reviews of refund returns (i.e., Refund Integrity Reviews) and input tax credits (ITC) recapture requirements are examples of how CRA is expending resources to hone in on common exposure areas. It is clear from discussions with BDO Canada’s national indirect tax group that the majority of CRA assessments raised against registrants relate to a lack of sales tax procedures and understanding of the rules (as opposed to nefarious efforts by taxpayers to avoid tax). 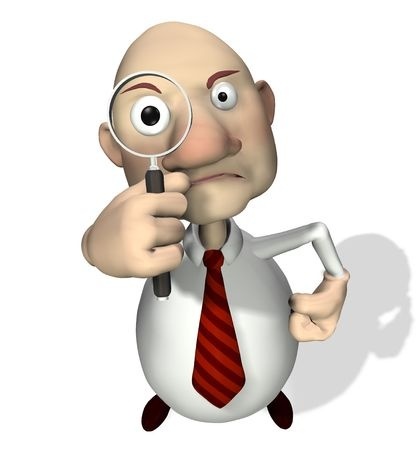 Personally, having conducted many sales and payroll tax diagnostics/health checks at clients, most issues can be flushed out and resolved long before a CRA auditor comes knocking. Not including the correct business name of the purchaser may seem ridiculous to some, and CRA agrees. However, this is not as simple a point as one might think. Generally, the person that is eligible to claim an ITC is the “recipient” of a supply. The recipient is typically the person that is liable to pay consideration for the supply. With few exceptions, CRA views the liable person to be the person that is named on the invoice. As a result, if one legal entity is billed GST/HST but another legal entity claims the ITC, CRA will deny the ITC. Consider a subsidiary that is invoiced for supplies intended for its parent, often the invoice is forwarded to the parent for payment and the parent claims the ITC. CRA will deny the refund in this regard as the parent was not liable for the tax. By taking certain measures, it is possible to rectify this error retroactively. What is better is having an accounts payable procedure in place that requires confirmation of the name of the legal entity being billed such that this costly issue does not occur in the first place. Many vendors are not aware of the requirement to include GST/HST account numbers on invoices and most purchasers are not aware that ITCs can be denied where an incorrect number is provided or no number is provided at all. As part of a recent Refund Integrity Review, a client was required to provide their top ten purchase invoices (by dollars); seven invoices were missing business numbers. Had assistance not been provided, the client would have been denied more than $47,000 of ITCs (and assessed interest) due to the various vendors’ oversights. To ensure this requirement has teeth, CRA has made a GST/HST registry available on its website and has made it clear that it is incumbent upon purchasers to confirm the validity of GST/HST account numbers on vendor invoices. The registry allows purchasers to enter the vendor name, account number and transaction date to confirm that the vendor’s GST/HST account is active. As with the above issue, having an accounts payable procedure that requires all vendor names and GST/HST accounts to be validated with CRA’s registry can prevent this expensive error. With the introduction of new filing requirements, related party transactions have a renewed sense of purpose in the CRA’s audit toolkit. In very general terms, certain closely related Canadian corporations and Canadian partnerships may be eligible to elect to treat supplies between them as if they were made for no consideration, that is, without attracting GST/HST on the transactions (excluding real property by way of sale). Until 2015, parties to the election could complete GST Form 25 and keep it with their GST/HST files for review by CRA should CRA come knocking. Effective 2015 a new form RC4616, Election or Revocation of an Election for Closely Related Corporations and/or Canadian Partnerships to Treat Certain Taxable Supplies as Having Been Made for Nil Consideration for GST/HST Purposes, must be completed and submitted to CRA. What’s all the fuss about? It turns out that many corporations and partnerships are of the view that, regardless of elections, there is no need to transact GST/HST on related party transactions. If you have more than one legal entity in your corporate structure, the issue of applying GST/HST to related party transactions should be looked at closely. Where the businesses transfer property or share expenses regardless of whether invoices are issued or journal vouchers are generated, CRA can assess GST/HST and interest on these related party transactions where an election is not available or is allowed but not on file. Another area of focus for CRA is the recapture of ITCs on specified properties by large businesses (generally financial institutions and businesses or associated groups of businesses with greater than $10m of annual revenue). Beginning July 1, 2010, large businesses were required to carve out from their ITCs the provincial component of HST (e.g., the 8% of the 13% HST in Ontario) on certain purchases related to utilities, vehicles, meals and entertainment and telecommunications that were acquired in or brought into Ontario or British Columbia for consumption and ultimately remit it back to CRA. Although the requirement to recapture in British Columbia ceased upon British Columbia’s departure from HST, it is still required in Ontario and, as of, April 2013, Prince Edward Island. Note that Quebec also has restricted input tax refunds on specified properties. In Ontario, CRA has initiated a RITC Unit that is targeting businesses that it believes are required to recapture ITCs. Given that RITCs must be reported on a separate line of the GST/HST return and CRA can simply tally the line 101 sales amount of a GST/HST registrant’s return to determine revenue (or take the total revenue of all associated registrants from a business’ T2), it is easy to identify offending parties. If your business has greater than $10m in annual revenue or is part of an associated group of businesses that, in total, has annual revenue exceeding $10m, effort should be taken to confirm ITCs are being recaptured correctly on specified properties and remitted to CRA. It is also important to confirm that proxies to reduce recapture amounts are being applied appropriately (e.g., the production proxy to reduce RITCs on utilities for manufacturers). Given that a phase out of RITCs has begun (effective July 1, 2015 only 75% of the recapture amount must be remitted to CRA), the clock is ticking for CRA to identify non-compliant taxpayers and assess the tax as well as interest and penalties. and/or the purchaser acquired the property as a rental property. If any of the above circumstances apply to your purchase, an assessment may be looming but, in some cases, a fix may also be available. and/or not claiming the rebate within the required two year limit. As with the New Housing Rebate, identifying the error early may allow for a fix or, possibly, pave the way for reduced interest and penalties. Sales taxes affect every transaction contemplated by a business in one way or another but often receive little attention. Should CRA identify errors, they can typically assess as far back as four years if not further. Having your sales tax reviewed from a compliance standpoint is an excellent way to identify risk areas and to resolve any noted concerns with the tax authorities. CRA offers a voluntary disclosure program that allows taxpayers to bring forward exposures with a view to mitigating potential penalties where all conditions associated with the voluntary disclosure program are met. Don’t wait until CRA notifies you of an audit to determine whether a problem exists.